Shifting Public Views on Legal Immigration Into the U.S. Growing share of Democrats support increased legal immigration into the U.S. 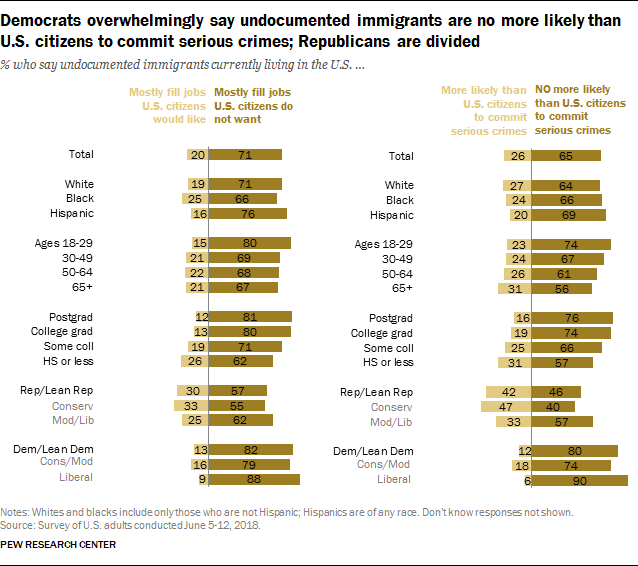 Growing share of Democrats favor increasing legal immigration into the U.S.
Democrats ideologically divided over increasing legal immigration to the U.S.